I watched Indiana Jones and the Temple of Doom again the other day, and I hate to say it, but it was worse than I remember it being. It’s trying to be a screwball, romantic comedy, noiry kinda thing and it just fails miserably. Mostly because Harrison Ford and Kate Capshaw have absolutely no on screen chemistry at all. Of course that’s mostly because Kate Capshaw couldn’t act her way out of a paper bag. Fortunately for her, she and Steven Spielberg fell in love, got married, and have 5 kids together, so she never really had to act again. Harrison Ford didn’t do such a great job either, but he was hindered by lines that kept ending in “sweetheart” or “doll face”, as if Indiana Jones was suddenly Humphrey Bogart. That is not to say the movie is devoid of any redeeming qualities. 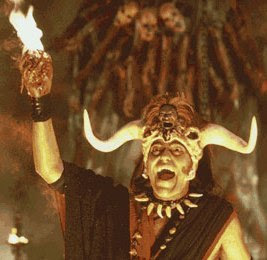 Aside from featuring beloved Bollywood star Amrish Puri as its villain, Temple of Doom does have a few good humorous and feel good moments and some good action sequences. I’ll stand by my assertion that taken on its own, it’s an enjoyable film. It’s just not as enjoyable as I remember it, and doesn’t measure up to Raiders, Last Crusade, or even Crystal Skull. Watching it, however, did point out to me a major flaw in Crystal Skull: The lack of an appearance by Short Round. Think about it, they tie up just about every major loose end in Crystal Skull. We see the Ark in the warehouse. We find out his dad and Marcus have both passed away explaining their absence. They bring back Karen Allen to answer the open question of “Whatever happened to Marion?” that popped up once Last Crusade failed to reference her at all. Really, the only main character left that we care about whose fate remains unknown is Short Round. We all assume that Indy dumped Kate Capshaw as soon as they got stateside because she’s so goddamn annoying, but the touching father/son relationship Indy has with Short Round is really the heart and soul of Temple of Doom. And yet, in just the few short years that pass between the events of Temple of Doom and Raiders, Short Round completely disappears. Did Indy just toss him aside? Given Crystal Skull’s father/son themes, bringing back Short Round would have provided a perfect opportunity to either show how Indy had failed as a father figure in the past (if Short Round had a tragic fate) or to prove how Indy had previously succeeded paternally. Why not bring him back? 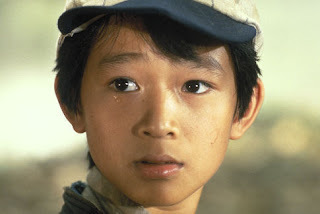 Was Jonathan Ke Quan not available? Somehow I doubt that. You know what he’s doing now? He’s a stunt choreographer! They could have used him for more than just a cameo. I’m guessing they were just too ashamed of Temple of Doom to want to reference it. Rather than finally give us closure for Short Round’s character, they simply disowned the film and pretended that chapter in Indy’s life didn’t exist. That may be Crystal Skull’s biggest failing. Whatever happened to Short Round? The world wants to know! Man, if there were ever a Prince-baiting topic, then this would be it. Fortunately, you redeem yourself by coming to Short Round's defense. You are a very complex man. Speaking of Karen Allen, I wrote an unsolicited script for a Starman sequel back in 1998. It was my first script and I quit college to finish it. It’s been gathering dust ever since. I sent it to Jeff Bridges and John carpenter, although I would prefer if Carpenter didn’t direct a sequel. I wrote some good f/x sequences and some interesting characters. I’m pretty sure I’ll never be involved, but I’d to see the f/x scene from the beach being incorporated, (Jeff’s manager Neil will know the one, totally plagiarised from another movie, but it would look great on film today). If anyone has any questions, email me at hansenfilm@yahoo.ie and I’ll answer them. (Although I won’t give away any plot points. And yes there is a son and indeed, I actually have the perfect casting suggestion! !